The My Bag from Kushies is a great bag to keep all your child's belongings together and organized while at daycare, sleepovers and great for trips like summer vacation. 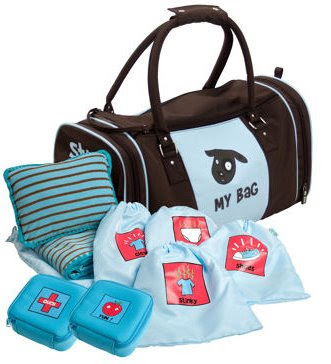 It has many great compartments to allow you to pack everything your child will need. Plus, the labeled bags help remind you of things that you may normally forget ( I am known for forgetting things) ! It was really easy packing Bryce for a trip. I showed him what each bag was for and had him help get the items to go inside each bag. He thought it was really neat to pack his stuff in his own bag. I love everything about the My Bag ! It is nice to be able to have everything organized. I think this bag is definitely worth the price. The quality of the bag is GREAT ! My Bag is made of premium nylon fabric, allowing for easy cleaning. 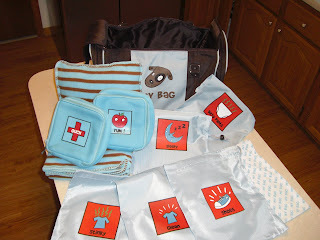 Just wipe down with a damp cloth.The My Bag will help teach my son how to pack his own things as he gets older and to be more organized. The BIGGEST plus for me, NO MORE large Ziploc bags for dirty clothes, shoes or medicine…My bag has all that covered ! Kushies offers a large array of products besides the My Bag which include apparel, cloth diapers, bibs, bedding, bath items, nursing items, bags, and organic products. Life In A House Of Blue readers can take advantage of a special discount of 10% off an order from Kushies Online. 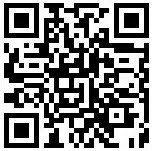 Just enter coupon code lihb10 at checkout. Way cool! Looks useful for summer travels. You can tell this was thought up by a mom....she thought of everything! What a great practical item to have. This would rock! I love the bags for clean and dirty clothes.